Inspired by space travel and borrowing technology from the Swoosh’s burgeoning React family, the Jordan Proto React silhouette is a disruptive design that boasts a boot-like construction, semi-translucent uppers, and a distinguishable look it can truly call its own. With pairs having dropped early in Japan in a simple black and white kit, the new Proto model is calling upon a Metallic Silver color scheme next that utilizes that shade as its anchor with white, black, and sail mixed throughout its upper and sole for support and contrast. 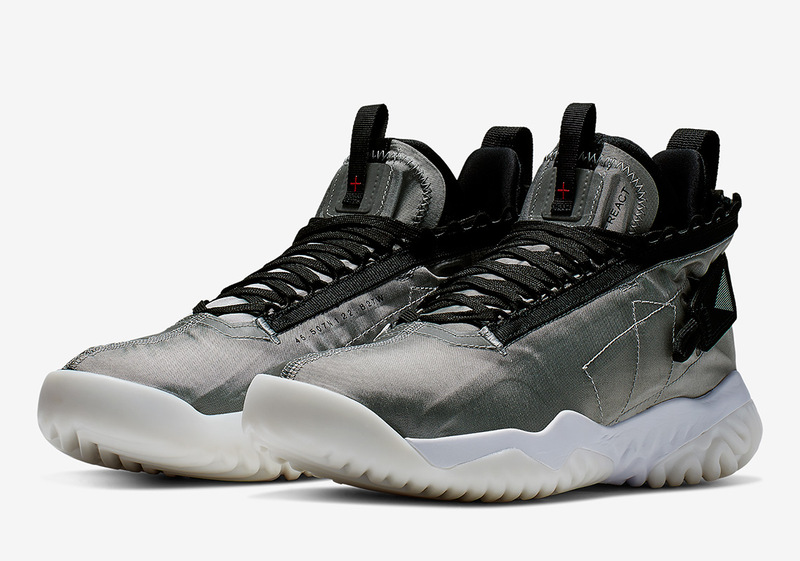 Technically designed, the React-laden Jumpman model boasts trendy straps on its upper, exposed stitching, and other exterior embellishments that mimic an astronaut’s mission-ready garb. Official images of this new colorway are available below, so keep it locked for a March 1stNike.com release date, and check out some of the top sneakers dropping during All-Star Weekend 2019 in the meantime.